Raise your hand if you would consider trying to lose weight during the holidays. (Richard Simmons, you can put your hand down.) Everyone else, let’s talk reality. Dieting at this time of year would be torture. 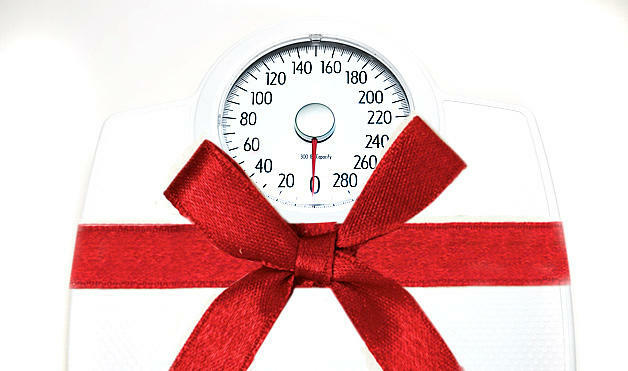 But maintaining your weight through the New Year would be quite an achievement. 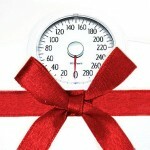 Think of how accomplished you’ll feel by starting 2012 without five pounds of holiday memories on your hips. Call a friend. Meet a friend for a walk instead of lunch. An easy walk counts as exercise and will keep you away from the excess of lunchtime temptations. One of my college nutrition professors once said: “I exercise because I can’t eat at the same time”. Bribe yourself. Give yourself a gift that encourages healthy habits. New running shoes or workout clothes can be just the motivation to stick to your exercise routine. Eat some junk food. Each day, permit yourself to eat less than 200 calories-worth of a real “treat”. Completely banning sugar from your diet is a constant reminder that you’re depriving yourself. It’s okay to feed that sugar-need with a snack here and there. You’ll be less likely to binge. My workout tip to help you maintain your weight through the New Year. Shake it up! Your body adapts very quickly to the same old workout. Head for a path with hills once in awhile. Take a different exercise class at your gym. Rent some DVD’s with routines you’ve never tried before.